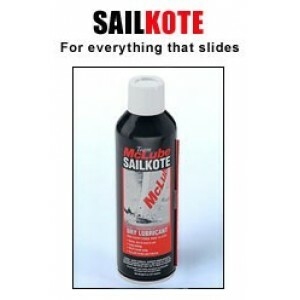 CarPlan De Icers powerful formula melts ice quickly and effectively from car/boat windows even at lo..
Sailkote is the easy to apply high-tech, high performance dry lubricant that makes sails, hulls, rig..
Use to lubricate winch pawls and springs. Improves pawls rotation for the best possible winch perfor..
Harken winch grease is a non-aging, high adhesive, synthetic lubricant. It is resistant to both salt..
Holt&apos;s Pro-Lube is a high grade silicone PFTE lubricant designed specifically for marine applic..
LanoProtect liquid lanolin packaged in an easy to use 400ml aerosol can, allowing you to get right i..
LanoProtect Grease is a thick tacky environmentally friendly, biodegradable, non toxic grease with h..
Transyl Oil is a lubricating, deep penetrating, self-spreading liquid with exceptional wetting&apos;..
Quick, clean and easy. 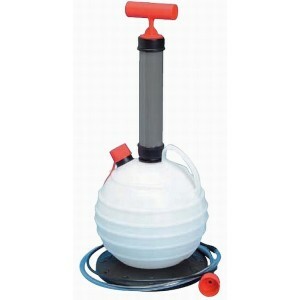 This pump extracts waste oil through the engine dipstick hole. Simply pump to.. 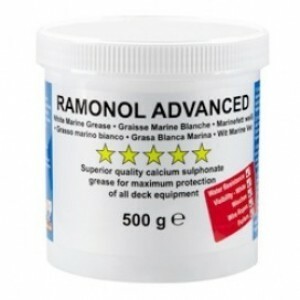 Provides an exceptional degree of water resistance, excellent adhesion, anti-wear and anti-corrosion..
A high quality calcium sulphonate grease with outstanding anti-wear and waterproof qualities. Based .. 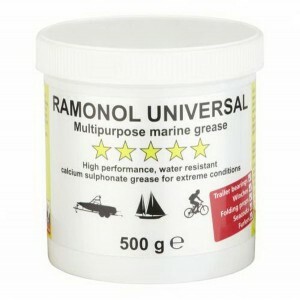 Application:Suitable for use in all conventional grease applicators. Especially suitable for stern a..
applications - trailer wheel bearings, water pumps, hinges, pins, winches, anchor chain reels. 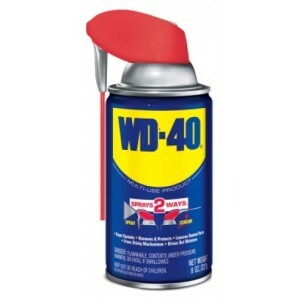 Speci..
Use on boat snaps, metal and plastic zippers to protect against corrosion, reduce wear and friction,..
8 oz. Tube Triple Guard GreaseTough grease that stays in place and is unaffected by vibration saltwa..
Withstands temperatures of -45 degrees c to +260 degrees c.Ideal to be used on metals, plastic and g..
Cleans equipment to make it run smoother and last longer.Works immediately on contact.Easy to rinse ..
Withstands temperatures of -20 degrees c to + 90 decgrees c.Quickly penetrates rusted and corroded p..
High performance silicone lubricant.Withstands temperatures of -35 degrees c to +200 degrees c.Preve..
Withstands temperatures of -20 degrees c to +100 degrees c.For the use of metals, glass, vinyl, rubb..
Withstands temperatures of -18 degrees c to +145 degrees c.Water and heat resistant lubricant.Long l..
XD50 Perfomance enhanced sythetic blend oil that meets the specific demands of direct injection and ..